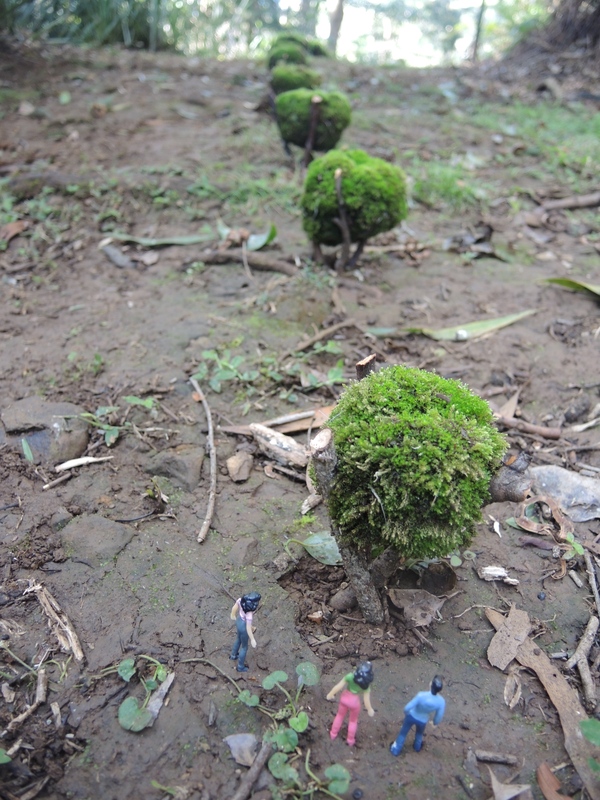 “Mosses & other small beings issue an invitation to dwell for a time right at the limits of ordinary perception. All it requires of us is attentiveness. Look in a certain way & a whole new world is revealed”. How often do we stand still? How long does it take to LOOK? What do we look at, what do we see? How might we encourage the viewer to develop a keen sense of ‘looking’ to discover possible answers to our actions? Ephemeral Sculpture Installation has just been awarded the Sculpture on the Edge Art Prize. 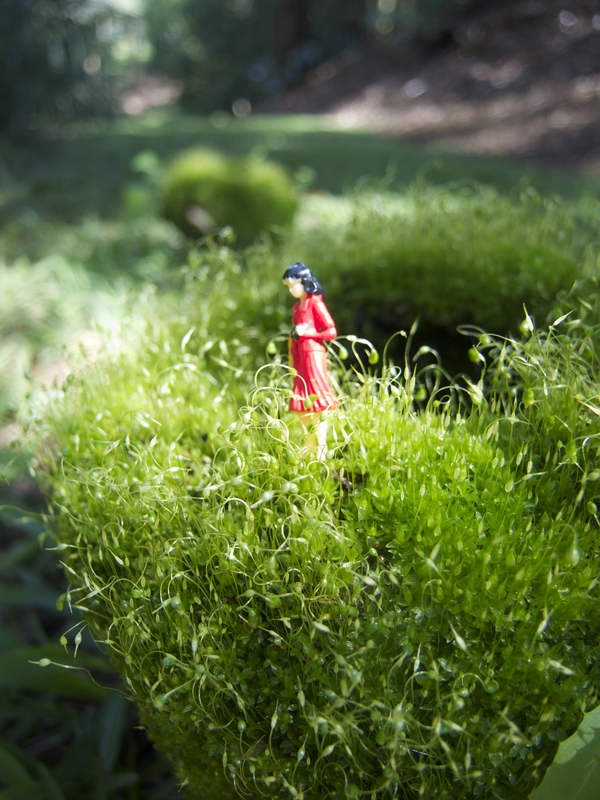 ‘wherever you go there you are’ is a site specific art installation by Corrie Wright. 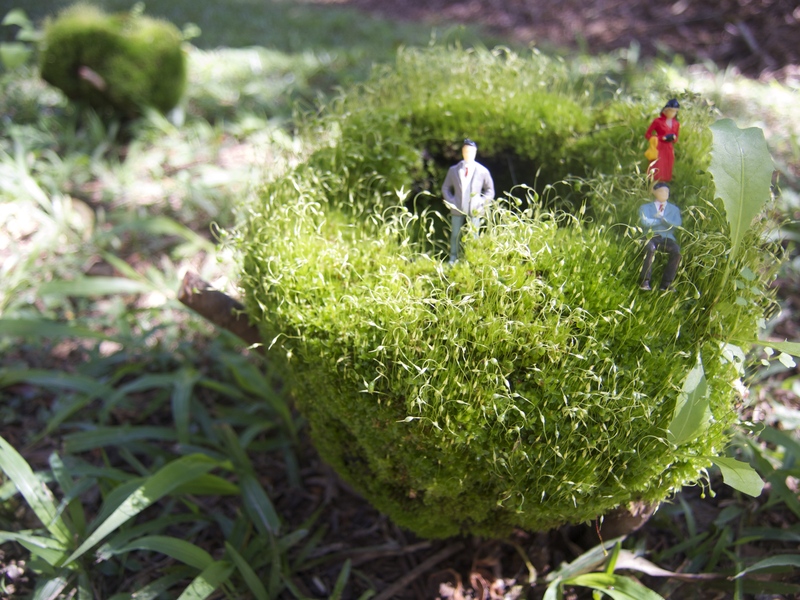 Corrie’s living sculpture is realized in moss. 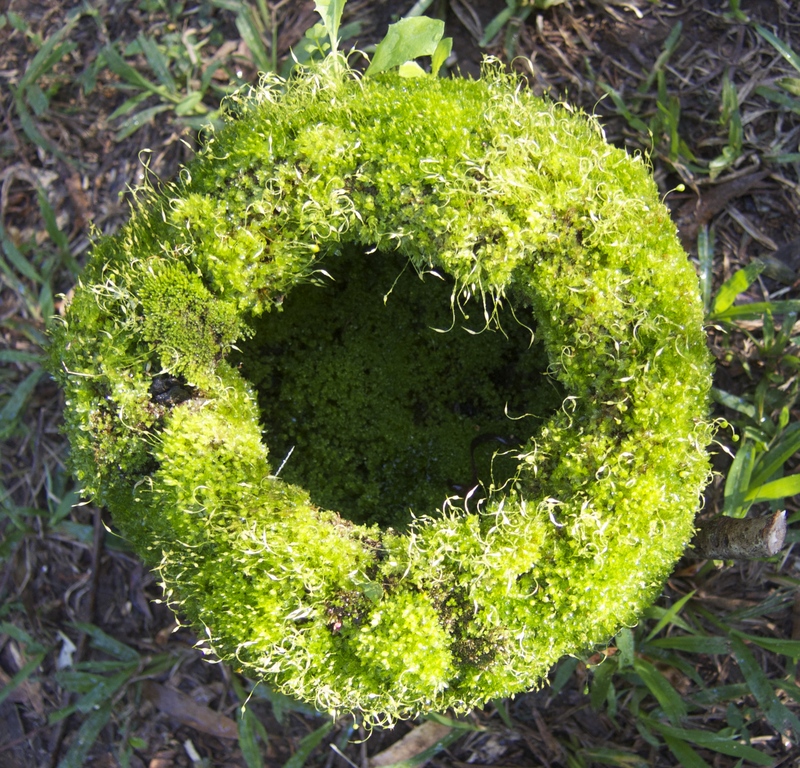 A series of moss covered bowls rest cradled in sticks along a secluded path at Spicers Tamarind Maleny. 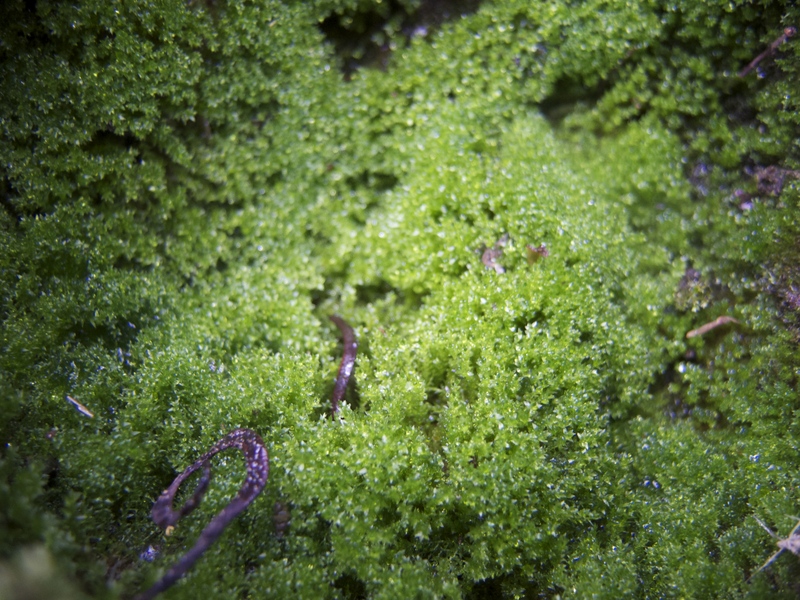 For eight months Corrie has been gathering & growing moss from & around her community. Those who wondered what she was doing would never have guessed she would take out the $10,000 art award. 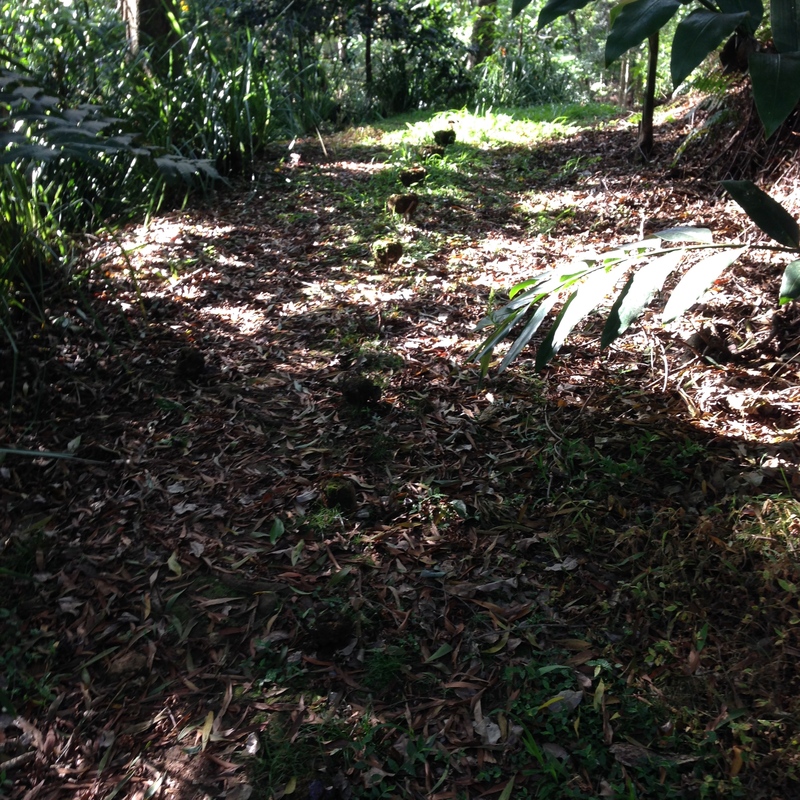 Sculpture on the Edge has been a collaborative event between Arts Connect Inc. and Sunshine Coast Spicers over a four-year period. 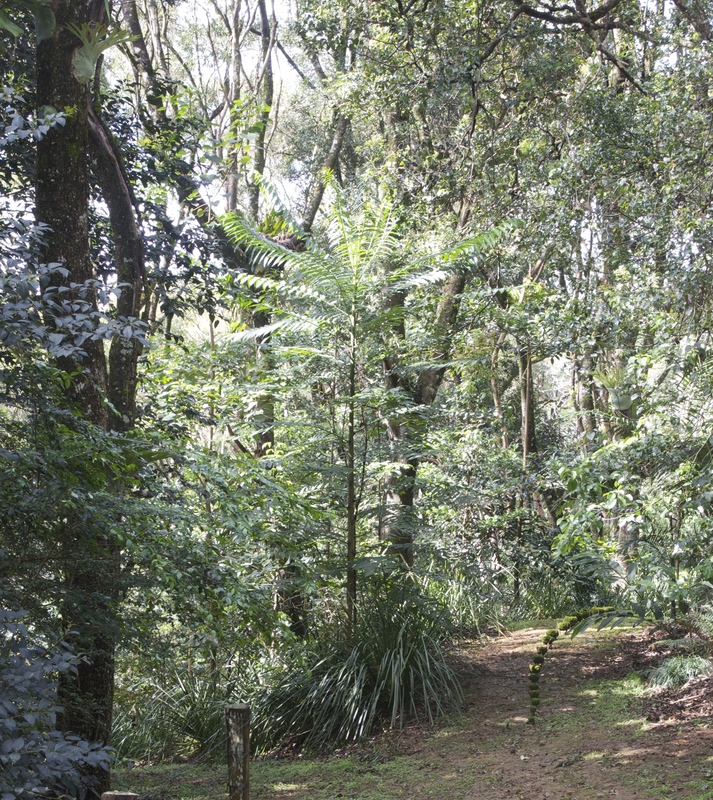 Since 2011 sculptures have been exhibited in the grounds of Spicers Tamarind Retreat, Maleny and open to the public until October 18th. 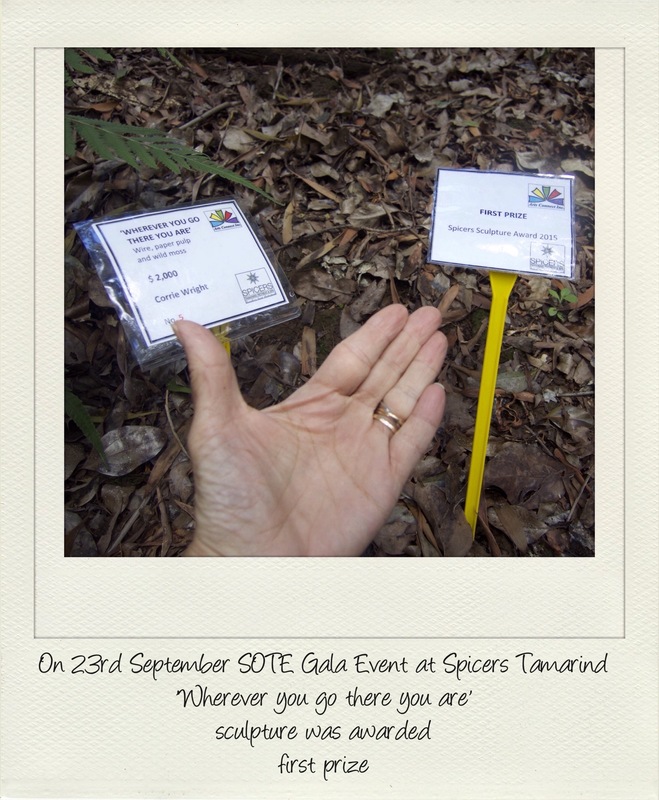 In 2015, Sculpture on the Edge is a significant partnership with SCCouncil, Spicers Tamarind and Arts Connect Inc.
Corrie Wright is a Queensland based transdisciplinary visual artist who is passionate about visual communication. A transdisciplinary approach extracts any discipline needed for research and regards no discipline exempt. Corrie shares unique and distinct areas of expertise to scrutinise questions relating to more than one level of reality. Corrie’s goal is to work in different environments that allow artistic risks to test art methodologies. The term site-specific can be described in two different ways. Artwork made for a site for particular reason, idea or event (eg some public art; Maya Lin’s most famous memorial: TheVietnam Veterans’ Memorial). Or artwork made in response to a site, engaged art that references the place it’s made in and has been made because of the place. Work in an environment often refers to this interpretation, by asking artist to take into account the landscape, locality, terrain, local and or historical community, artwork made as a direct response or relationship through the artworks form, material or concept. Whatever we put in a place has a chance to mingle with the place. Another key purpose to site-specific art rests in its ability to widen the audiences, offer an experience outside of the gallery context to spontaneously reach a mixed audience. Ephemeral in nature the art made for a site owes its presence in alliance to the site, once removed or displaced from site the meaning and work is altered. Gillian McIver says “The artist and the work becomes part of the collective memory of the site……”The viewer is required to make an effort to engage in a very real association between the place and the artwork for their own interpretation of place. On a personal level when I engage in a place something else happens. Imagine thinking and acting in a semi-natural setting for the intent of looking, observations that often, after first glance remain different. Time allows other senses to engage, the small, the overlooked, the smell, the sounds the light contribute to the thinking, wonder about place and the ideas intent. The time is fundamental here, the sitting quietly on site …..Ideas take on meaning because of the site and about the place you find yourself in. Art is not always easy, the terrain is not always smooth …..some do not make the journey to view the work ….. the ephemerality of the work may mean its only existence is now a photograph, however small remnants may remain onsite. 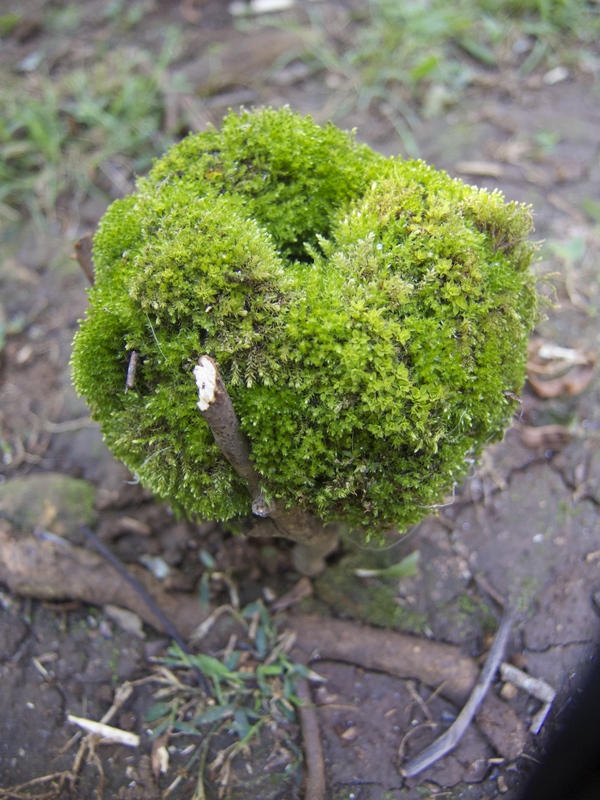 For me the fragments of moss spores pecked by birds from my work remain and flourish on the site today, forever linking my recollection with place. Corrie Wright is a Queensland based transdisciplinary visual artist who is passionate about collaboration, process and visual communication. Corrie’s work activates participation through experience and seeks to adapt to the times in which we are living. Invested in ‘experiences’ because they calculate shifting functions to incorporate collaboration, participation, change and process. “My artwork uses visual communication to highlight environmental and community issues.” Corrie’s goal is to work in different environments that allow artistic risks to test art methodologies. A transdisciplinary approach extracts any discipline needed for research and regards no discipline exempt. Corrie shares unique and distinct areas of expertise to scrutinise questions relating to more than one level of reality. 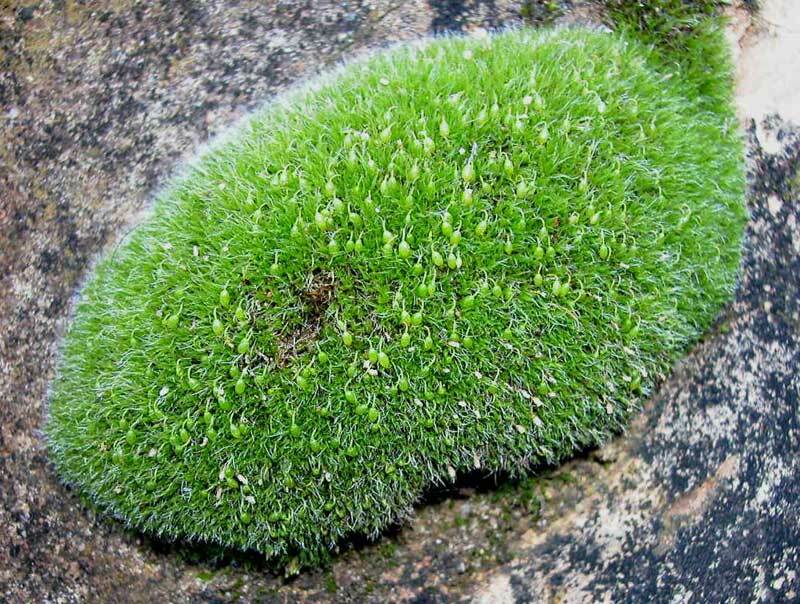 * There are over 12,500 recognized species of moss worldwide.